Excellent for heavy training, performance activities, competition, racing & trailering. Give 1 scoop daily per horse, regardless of body weight. For Transporting Horses: Give 1 scoop one (2) hours before loading and 1 scoop every eight (8) hours, if transporting is prolonged. 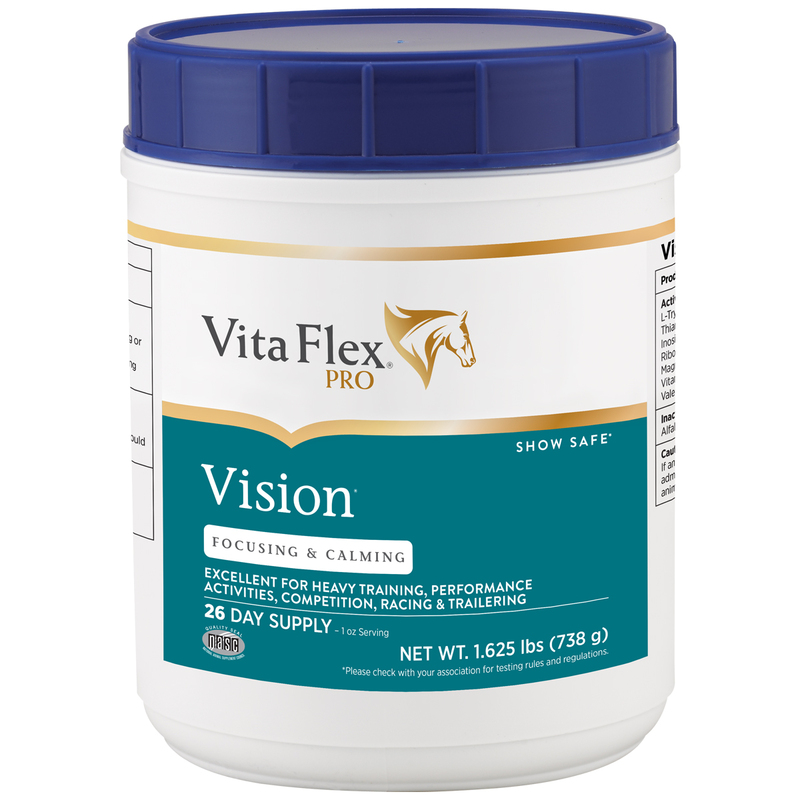 Vita Flex Hylamotion Equine Joint supplement delivers 100 mg of premium hyaluronic acid (HA) per serving, blended in a palatable alfalfa and grain base. Ideal for horses facing the strains of aging, training or competition.